Next summer, the San Francisco Police Officers Association will be losing 16 of the organization’s most powerful members—some 16 command officers. 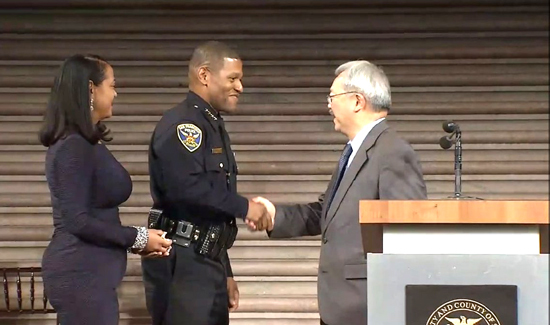 “The commanders’ affiliation with the SFPOA raised a number of conflicts in their ability to properly represent the Police Department in labor issues, disciplinary hearings, policy and training development, and the implementation of DOJ [Department of Justice] recommendations when negotiating against their own association,” Scott elaborated in an email to Mission Local. There is some tension between the incoming chief and the SFPOA because the police union wanted the new chief to come from inside the agency as opposed to an outsider. Chief Scott used to be with the LAPD.